By buying this product you can collect up to 199 loyalty points. Your cart will total 199 loyalty points that can be converted into a voucher of ₹ 49.75. Wooden home decor stands with eleven beautiful pots. Smooth semi matt finished stand with glossy finished pots. 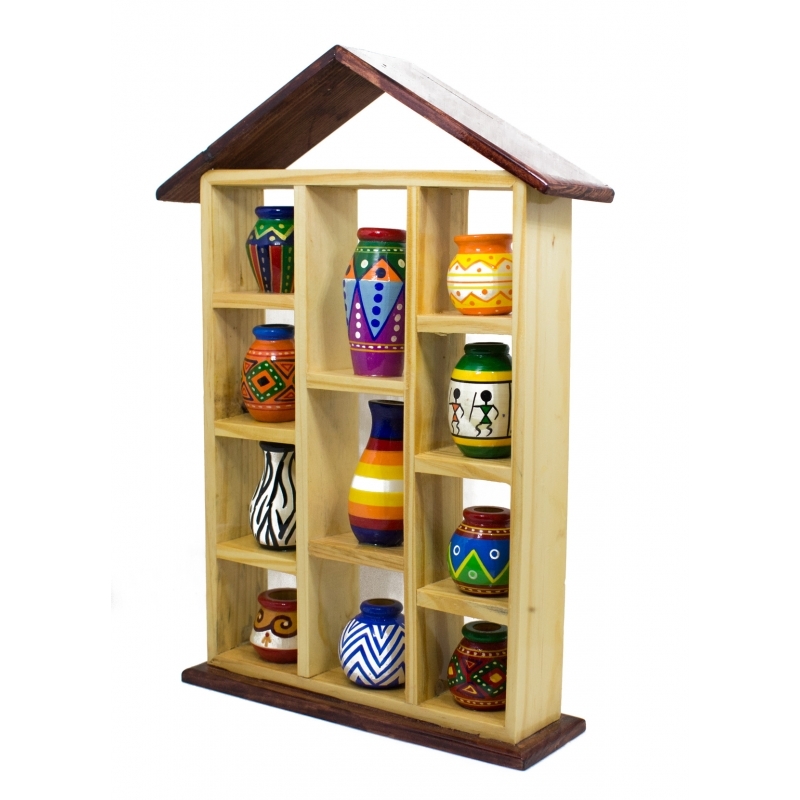 Decorate your home with this beautiful wooden decorative stand. The product is made of pinewood structure with ivory wood pots prettified with the traditional design patterns. CHANNAPATNA TOYS have talented artisans to create any custom wooden gifts and also support advanced wood engraving to meet corporate market requirements.